We've all read the hype proclaiming that virtual machine software, sometimes called hypervisors, are the answer to every computing question. The truth is that different problems need different tools. Virtual machine software is only one of five things at the virtual processing layer of virtualization and is not always the best choice. This webcast will review the model of virtualization described in Virtualization: A Manager's Guide and discuss different virtualization solutions for different IT problems. 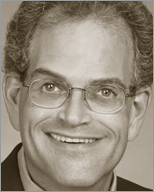 Daniel Kusnetzky, Distinguished Analyst and Founder of the Kusnetzky Group LLC, has been involved with information technology since the late 1970s. He's interested in system software, virtualization technology, cloud computing, and mobility. In the past, Mr. Kusnetzky was: - Vice President of Research Operations for the 451 Group - Executive Vice President of Corporate and Marketing Strategy for Open-Xchange, Inc. - Vice President of IDC's System Software research and - Spent 16 years at Digital Equipment Corporation in program and product management, and marketing in the areas of client software, server software, and clustered and networked systems.